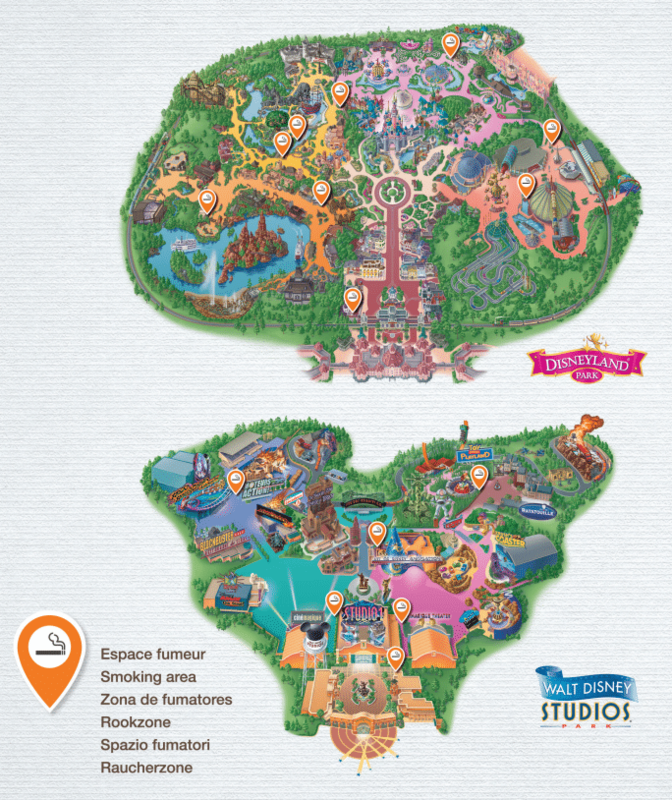 Since this week Disneyland Paris is actively informing guests who wish to smoke while at the theme parks that they have to use designated areas to do so. In the last few years guests have been smoking everywhere at the parks, even though the smoking ban was already in effect. Guests who smoke outside of the designated areas will be presented with a flyer explaining the smoking ban and where the smoking areas are. In the last few months several announcements have been changed to include a message about where to smoke. Signage and messaging at the turnstiles, security check and moving walk way will also inform guests about the restriction. As a reminder, in effect since 1 February 2007, and according to Public Health measures, it is forbidden to smoke in enclosed and uncovered public spaces. The restriction is in line with the current legislation in France, and is aimed at protecting our guests – especially young people – from the damaging effects of tobacco and also the security problems related to guest overcrowding in certain areas. Electronic cigarettes are also restricted by the ban. Designated smoking areas can be found in the maps that can be seen throughout the park, the mobile apps and the weekly programs. The flyer also shows the location of all designated smoking areas. We have been to all parks around the world. While people smoke in every country, the amount of smokers not utilizing the smoking areas is the biggest at Disneyland Paris. A close second is Shanghai Disneyland. We are happy to see that finally action is being taken.